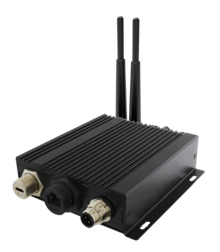 The EAC Mini EACIL67 is a ruggedized IoT gateway for outdoor public or private network deployment. Designed in a fully IP67 rugged enclosure, EAC Mini EACIL67 is capable of resisting the harshest environments including moisture, dust, wind, rain, snow and extreme heat. Whether in outdoors marine locations, the food and beverage industry, oil and gas fields, the EACIL67 and its IP67 water and dust proof encasing allows for versatile usage. The gateway runs on Intel’s Apollo Lake N3350 processor, accommodates 4GB of LPDDR3 memory, 64 GB of eMMC and includes the option for up to 1TB of mSATA storage. 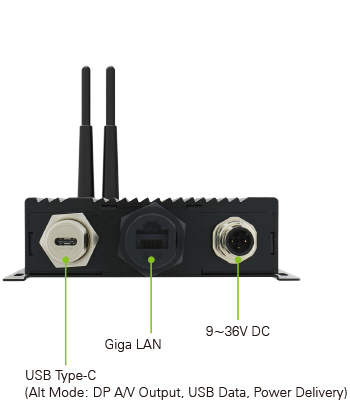 For connectivity EACIL67 features two Giga LAN, one USB Type-A and one USB Type-C waterproof connectors with protective caps. The USB Type-C connector works in Alt mode meaning it can provide display A/V output, transfer USB data and deliver up to 10W (5V/2A) of power. The device supports Windows 10 IoT Enterprise, Linux and Ubuntu operating system options. 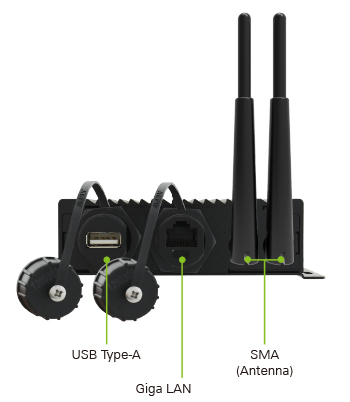 Bundled for easy deployment, the solution includes IP67 enclosure, and provides optional WLAN external antennas to improve outdoor range for external connectivity. It can be deployed as part of an existing telecommunication system, standalone or be mounted on a wall. EAC Mini EACIL67 suitable for Oil and Gas, Wind Turbine, Substation, and other Public Infrastructure applications.